Fatma Aydemir's angry yet tender debut novel, Elbows, tells the story of a young German-Turkish girl trying to find herself. It's Thursday evening in the Berlin neighbourhood of Schöneberg. The small bookshop in the Kiez is crammed full of older men and women. They are all here to listen to Fatma Aydemir read from her debut novel, Elbows - but above all they want answers. They want to know what life is like for a young German-Turkish girl living in Berlin, against the background of the Turkish constitutional referendum, and ongoing discussions about the lack of integration in Germany. Aydemir's novel was published at the end of January to critical acclaim. But now, with everything that is happening in Turkey, it has been imbued with a whole new timeliness and urgency. 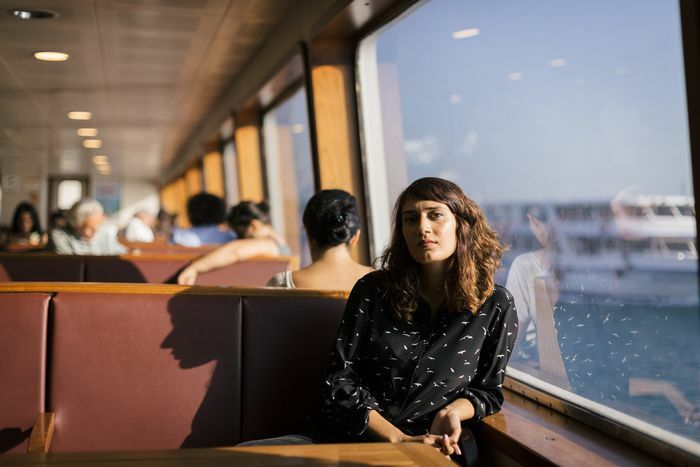 Hazal, the main protagonist and narrator, seems to stand for so much, not least for the generation of Turkish-Germans who sit between two worlds: not really German, but not really Turkish. In the novel Hazal, who is nearly 18, lives with her family in the Berlin Wedding, which is known as a rough neighbourhood. In the mornings, she takes part in a so-called Berufsvorbildierende Bildungsmaßnahme (vocational training), writes hopeless job applications and is consumed with boredom. In the afternoon she works at her uncle's bakery, and in the evenings, Hazal has to listen to her father's silence and her mother's criticism. Nobody expects anything from Hazal, except to get married and have children - like a good Turkish woman. For Hazal it seems like she can never please her mother, as far as she is concerned she is always making mistakes like making too deep a cut or showing too little respect for her Erdogan-loving parents. "It's just a question of telling the other convincing lies and not getting caught," she says. "This is how this family works. We always remain objective." Hazal's home from home is Istanbul, where everything is bigger, better and more beautiful and where she feels accepted. 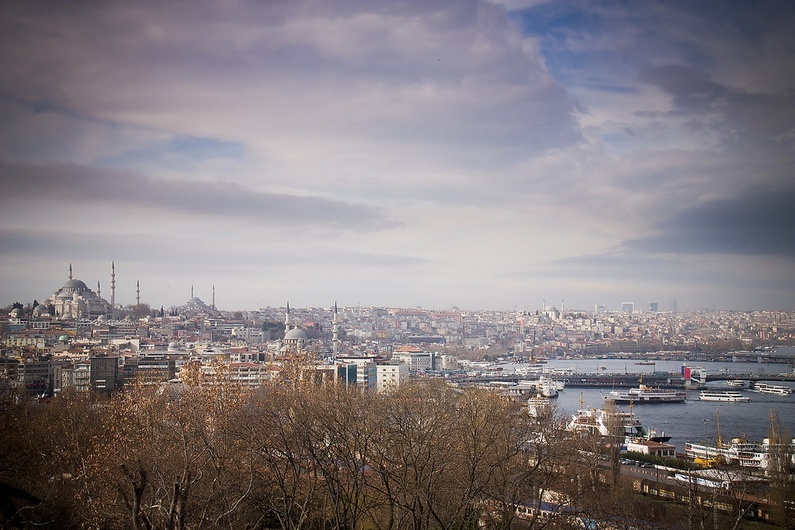 Hazal and her friend Gül know the city "only through the window of the bus, which picks us up from the airport every second summer and takes us to the boring end of town." Mehmet lives in Istanbul: he was deported there due to a number of different criminal offenses, and is now getting by somehow. Hazal also steals mascara from the drugstore (and is caught), hangs with her girlfriends Elma, Gül and Ebru, Skypes with Mehmet and drags herself through each day. She has no idea who she really is and if there is somewhere she could call home. Most of the time, she doesn't care, she just wants her peace. "The topic of Erdogan bores me to death. Erdogan here, Erdogan there," she complains. "Everyone always goes crazy when they talk about him. But who the hell is really interested in what we think about that? Don't we have anything else to talk about here in our two-and-a-half room apartment, can we not discuss something else for a change?" Despite her seemingly blasé attitude Hazal is filled with an inner rage, which suddenly comes to a head one weekend. Hazal and her friends go out to celebrate her 18th birthday at the Berghain nightclub - only to be rejected by the doorman. The girls are disappointed and offended: they're so used to being denied access in every sense of the word, and this just adds further insult to injury. In a burst of violence Hazal later takes her anger out on a student, whom she pushes in front of a subway train. 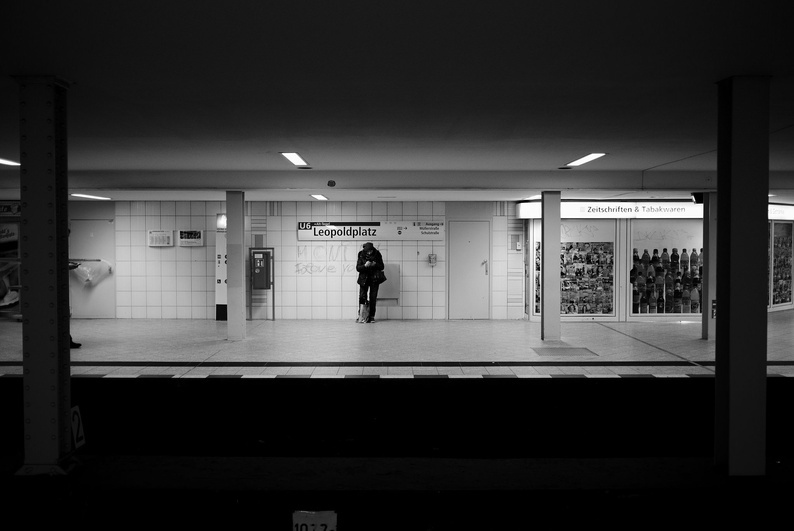 The whole thing is reminiscent of real cases which have taken place in the past few months with several people having been attacked in Berlin and pushed onto the subway tracks. Many of the perpetrators have also been found to have been teenagers with a migration background. Fatma Aydemir explains that she too has asked herself why this seemingly arbitrary violence "is happening in the public space." But she doesn't see her novel giving any real explanation, just as a "meditation" on the subject. One of the audience members asks how outsiders might better understand the experiences of a German-Turkish girl. "Well," says Aydemir, "I am Fatma and I have a German passport," she says. Of course, she has experienced racism, but in a different way to her anti-heroine, Hazal. Aydemir was born in Karlsruhe and grew up in what she calls a "very German environment." The 30-year-old studied German language and American studies in Frankfurt am Main and now works as an editor for the news website taz.de in Berlin - she could not be any more different from Hazal. "They only see us when they want to"
After the incident in the novel, Hazal flees to Istanbul to be with Mehmet, but learns that there is no place for her there either. Her Turkish is bad, the socio-political climate is regressive and in the "Eastern" part of the city there are Erdogan banners on every corner. Once again, it is clear to her that she is not one of them. Fatma Aydemir ends Elbows with the failed coup attempt last year, but Hazal's fate remains unknown. Ultimately, Hazal feels deeply isolated in both Germany and Turkey. She looks at her surroundings as if she were a piece that does not fit, and she feels an unknowable distance, which is always there. Fatma Aydemir doesn't try to make her main character appear sympathetic, and denies any sense of inner development. Elbows is not a novel in which the heroine undergoes a profound change, and ends by looking at herself and her life with new eyes. And maybe that's the point. There are no simple answers to the question of integration, no all-encompassing explanations to questions. Why do so many Turks living in Germany support Erdogan's constitutional reform? Or why they seem to no longer appreciate German democracy? Aydemir does not want to and can not give any answers. But she adds another important voice to the discussion surrounding immigration into Germany. As Hazal furiously notes, no one is interested in [immigrants]: "They only see us when do something wrong."